Add a touch of elegance to your look with this dreamy bodysuit. 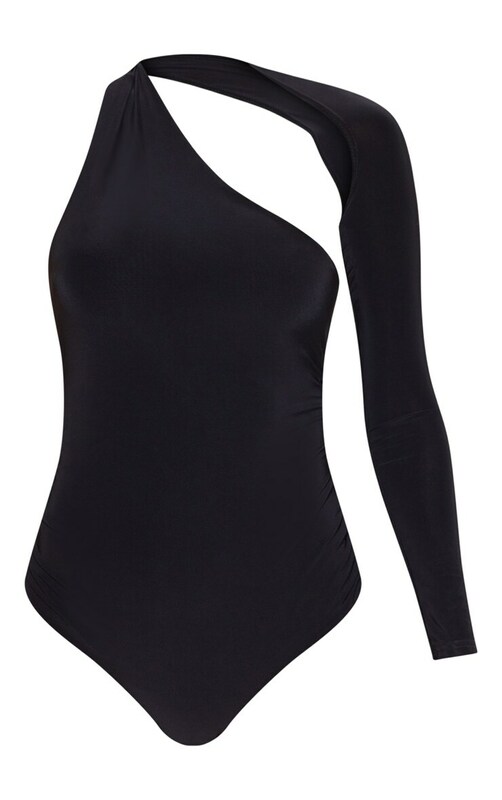 Featuring a black slinky fabric with a one shoulder design and an asymmetric neckline, what's not to love? Team with a slinky midi skirt and your highest heels for an occasion worthy look.